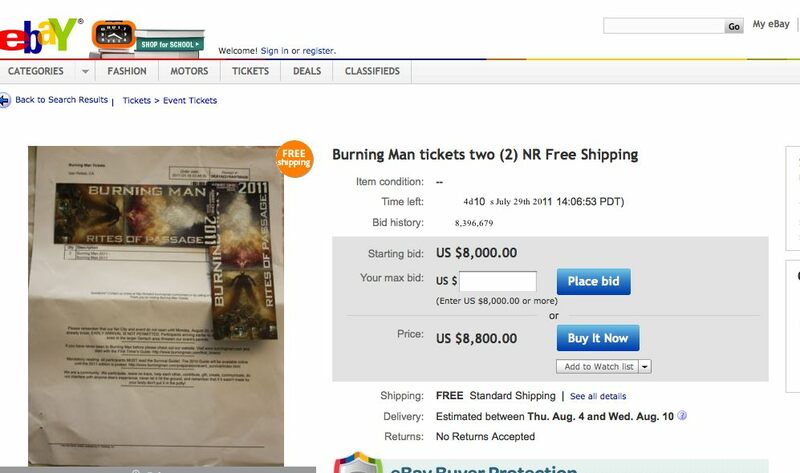 Washington, DC (CN) – As promised President Obama has placed his two Burning Man tickets up for sale to the highest bidder as part of last minute debt ceiling negotiations. Four days remain on bidding with the highest bid at press time being $8,000. How High Will the Bidding Go? “We expect the bidding to go much higher as people panic in the final hours,” said Larry Summers, Chief White House Asset Stripper through a spokesperson. 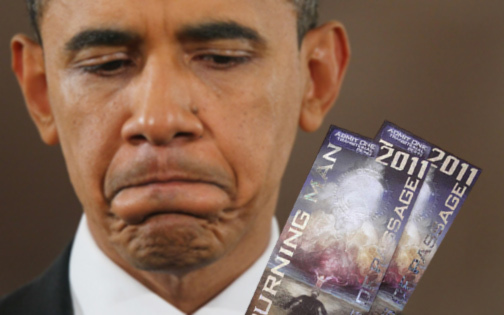 Obama has said all money from the sale of the two tickets will go to debt relief. Keep coming back for more updates on this developing story as they happen.